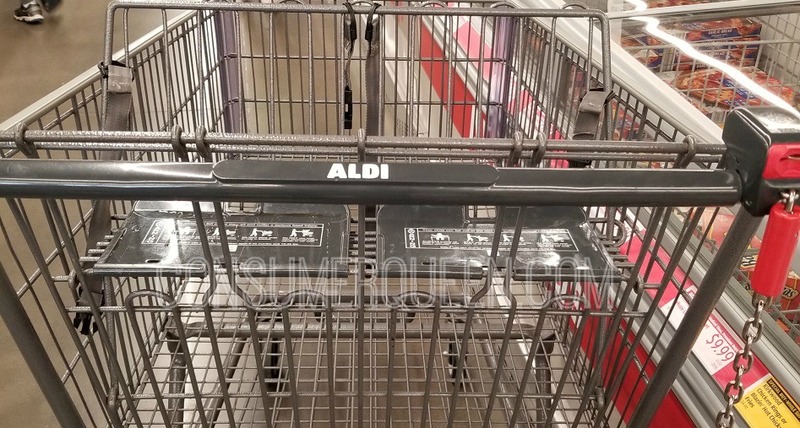 If you’ve been an Aldi shopper for very long, you know how much money you can save by shopping there. The Aldi brand food items are usually as good or better than name brands you find at other stores. 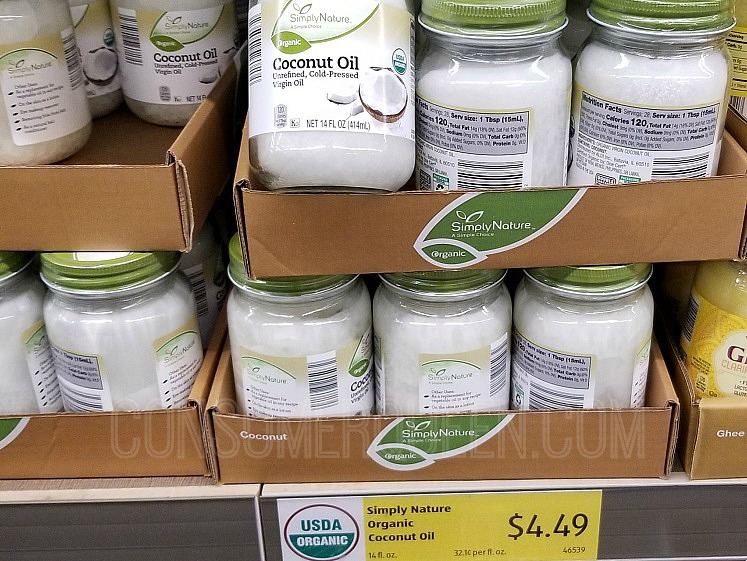 Aldi has the best prices on organic produce we’ve seen anywhere. Their SimplyNature organic grocery line offer a great value on organic cereal, coffee, crackers, canned goods and more. Many products are way less than similar ones sold under the Whole Food’s “365 Everyday Value” label and other conventional store items. They also DO NOT contain artificial flavors, high fructose corn syrup, trans fatty acids, nitrates, propylene glycol and other ingredients deemed questionable by experts. 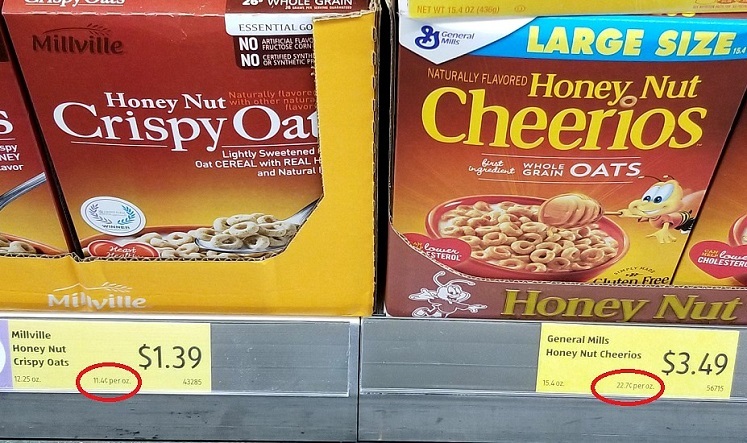 If you and your kiddos eat a lot of cereal you know how expensive that can get. Buy the Aldi brand and you’ll save at least 50% or more than you’d pay at other stores like Walmart and Target. Aldi’s Little Journey baby food is a lot cheaper than Gerber. 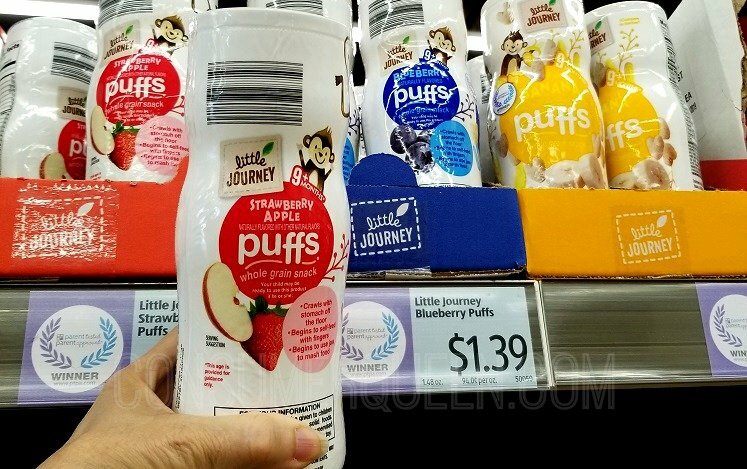 For example, you’ll pay 1.39 for Little Journey Puffs snacks 1.48 oz. compared to Gerber Puffs 1.48 oz. $1.96 at Walmart! Little Journey products are available in organic and conventional varieties. As you know, milk and egg prices seem to fluctuate quite often, with prices going up and down. 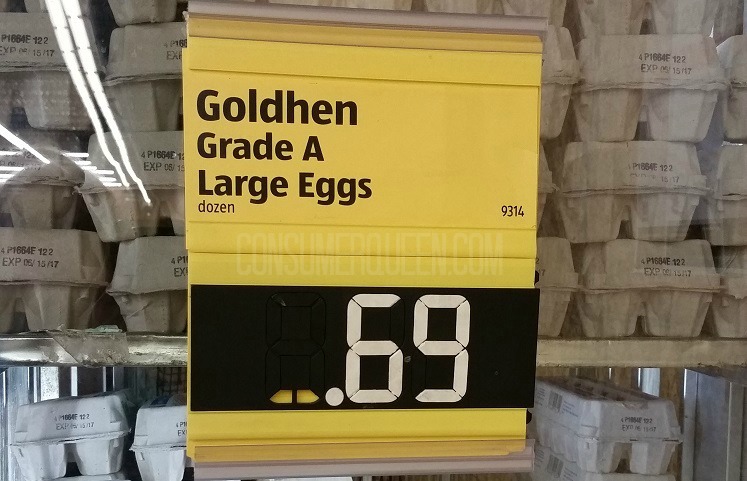 No matter what the prices do, you’ll find them consistently lower at Aldi. The number of people needing a gluten-free diet has increased dramatically and Aldi has a huge line to fill that need. You’ll save money buying at Aldi. For example the multi-seed crackers above are priced less than $2 at Aldi. 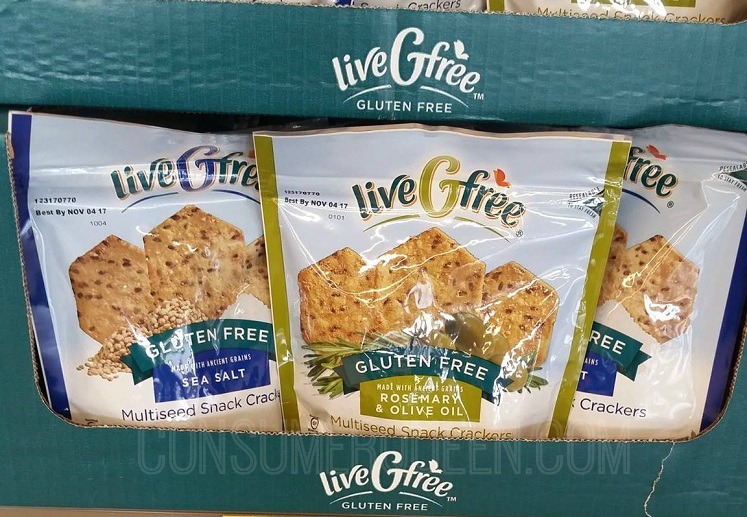 The CrunchMaster gluten-free crackers are around $2.68 at Walmart!